The Secret Blogger: Haul Time and 100 Followers! First up are these lovely bracelets from Jon Richard at Debenhams which were a fabulous 70% off!!! And I do love the jewellery at Debenhams, and when there's a sale that's even better. Bargain! Check your local Debenhams they may have them as mine has a few left. I popped into Primark and picked up these 2 items, I thought they would be quite nice when summer finally comes to England! The first is a grey dress which is very comfortable and quite a basic dress which can be jazzed up nicely I think, lol. Then I got a cute pair of peep toe wedges which I think would go perfectly with dresses and skirts. After much deliberation on what colours I should get I finally jumped on the Revlon lip butter and L'Oreal rouge caresse bandwagon. They were 3 for 2 in Boots, which gave me the push I needed to buy them, as if I really needed it lol. I will do a review once I've used them to compare the two. I also picked up the new 17 lip tint with a felt tip applicator on one end and a balm on the other. You can buy them on the Boots website here. Now these I've been umming and arring about for a while but I thought since I've been looking at them and trying them out on my hand every time I'm in town I really should just treat myself. I like the idea and look of these but we'll see what I think when I try them. You can get these in Superdrug (here) or Boots (here). And finally after a very long wait I managed to get my mitts on the real techniques brushes, I have been wanting these from the moment they were released. Again you can buy these in Boots, and I'll let you know my thoughts once I've used them. So that's my haul, hope you liked my purchases and do let me know if you've found any great deals or bargains. Yeh the dress is cute and its only £10. Wow you got a lot of awesome things, didn't you? Congrats on the big 100!! 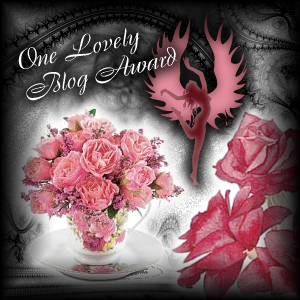 I love your blog, I just came across it thanks to the blog hop! I have just bought Model's Own polish and I am a big fan of the cream puffs and have it in fairy cake!